The scene today near 2118 Lyell Hwy. 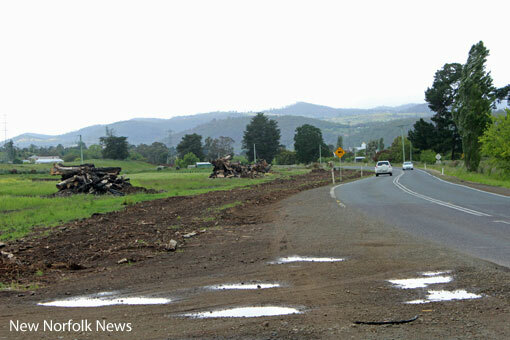 ONE of the Derwent Valley's most famous stands of poplar trees is now just a memory. An estimated 150 lombardy polars on the Lyell Hwy at Hayes have been felled after being deemed unsafe by the State Roads Division of the Department of State Growth. The trees were reportedly in poor health and had exceeded their life expectancy. 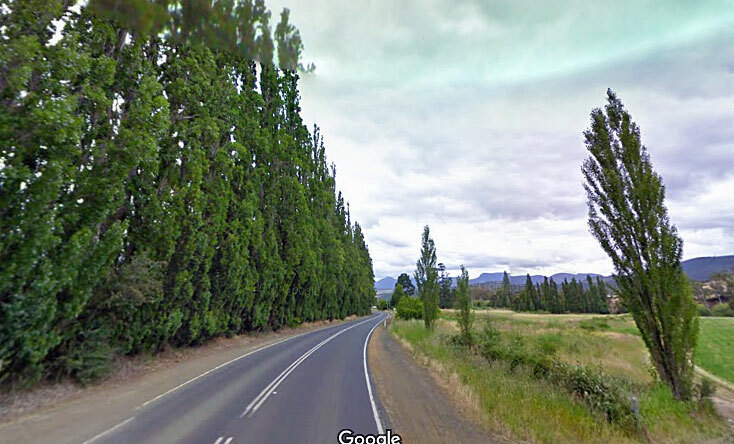 The Derwent Valley Council was advised that the trees, growing in three clusters near 2118 Lyell Hwy, were a risk to the public and several had fallen in recent times. The council has asked what the department intends to do in the way of replacement tree planting. The scene at Windsors Corner today. 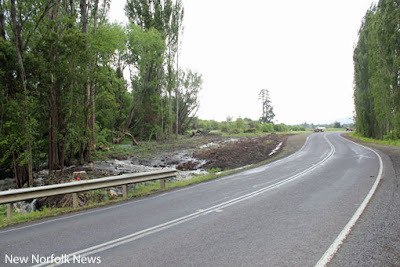 Sad but necessary - maybe some flowering native replacements would be better?